This presaturated 9" x 11" wiper is made of polypropylene and comes presaturated with a 70% Isopropyl Alcohol and a 30% deionized water solution. Extremely soft polypropylene and pure IPA bring wet wiping to delicate, scratch-sensitive surfaces. 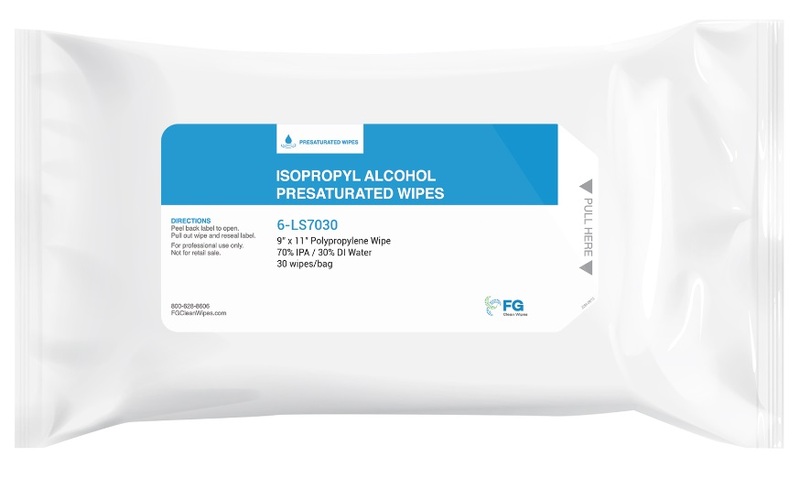 With high resistance to acids and many chemicals, these wipes are excellent for removing residues from surfaces and general wet wiping. Recommended for ISO 5-8 critical environments.